I thought I was finally winning in getting hold of the types of tripes required to step forward with tripe les halles. I had put in an order for feathered tripe, and when I went to pick it up I had a lengthy conversation with the butcher about getting hold of a calves foot. Apparently due to food processing laws it is hard to get hold of the feet as these are removed prior to the meat market or whatever the butcher’s source is. Lambs feet and pigs trotters aren’t a problem though, nor pigs ears, except they come in a 4kg box, and understandably they were reluctant to get these in. Who is likely to buy the remaining 3.7kg worth? Anyway I’ve seen all manner of pork bits available elsewhere. Its the feathered tripe and the calves foot I’m seeking. So I got my feathered tripe back to the car and examined it. Wait.. This looks just like the honeycomb tripe I had in the freezer at my old flat for months. Looking closer maybe this IS feathered. What’s it supposed to look like anyway? I’ve never seen them side by side *pauses to Google this* .. hmmm.. not much help.. ..methinks we’ll be touring any and all Asian supermarkets for a bit of R&D as a next step. Anyway I had a close look and a sniff before wanging in the freezer. It looks and feels like an ocean-floor-dwelling spongiform, but smells disconcertingly like milk (in the same way feta smells like goats)! On a particularly enthusiastic whim I decided to get two chickens, one with which to revisit poulet roti and the other to debone. The following video was both the catalyst and the instruction for what follows. Also a very strong catalyst for ongoing jokes where we try to mimic Jaques Pepin’s accent with “party” and ”pointy bits”. Oh man! So we went out and got two organic chickens. With the first we followed the same steps followed in my previous post, way back when. Pushing butter in under the skin, then trussing, not with twine, but by folding the legs over each other then each ankle through a slit in the skin. If the legs aren’t crossed the bird doesn’t seem to really hold together. I think we were slightly closer to Bourdain’s instructions but who knows.. Maybe he sits the chicken on its legs? As before, baking under a moderate heat to start with then turning up for the last part of the cooking. It worked a treat, was tender, not dry, perfectly brown all over the outside, yet didn’t strike the fear of leptospiridiumosis into my heart. The gravy was amazing as before. We held back on the butter, but the takeaway lesson is to cook the chicken with half an onion and half a glass of wine (and giblets if you have ‘em) in the pan, then the gravy is half done at the end.. While the first chicken was roasting we set about deboning the second, which – I should point out – is a diversion from the book. If you watch the video now, which I highly recommend you do, you will see him make a ‘lollipop’. I followed his instruction then my sous chef did the same on the other wing. We both nailed it first time. Boning out the drumstick then breaking the bone and removing it cleanly really is achievable as it looks. The thing that I really came away with was that you could apply a lot of the techniques here to any animal that has a rib-cage. I have read about butchers and chefs referring to parts of their own body when talking about cuts of meat and now I get it. I know, it sounds sick, and it kindof is, in a Silence of the Lambs sort of way. What can I say? I took a break while my trusty sous chef stuffed the chook with burghl, lemon, parsley, and olives then trussed it up as instructed and roasted it. This seems like the sort of thing one would be required to master in culinary school. Maybe after finely chopping a hundred onions and assembling the perfect Mirepoix. I feel like somehow the experience has taken us up a notch in the world of being at least adequate cooks. It has rained here once in the last 8 weeks – in a place where it usually rains twice daily. It has been a time to go camping up north, surf every day, read Gabrielle Hamilton’s Blood Bones & Butter, and to learn to appreciate Campari and Soda. Not so much a time for indoors and cooking. A la Basque. As per the poulet and the poisson there are bell peppers, onion, garlic, white wine and butter. Mussels here are a couple of bucks for a bag full and this one is cheap and fast. I maintain the opinion that moules à la portugaise and moules marinières are the best in the book though. I suggest checking out – mostly for the dialogue – Keith Floyd’s take on cooking moules. Anna had told me how she’d always wanted to make Elizabeth David’s ‘Maiale al Latte’ — published in 1954 and found in the ‘best of’ collection South Wind through the Kitchen. Since I had the Les Halles version on my horizon and we were both at a loose end on Christmas Day, we somewhat inappropriately made this pork and milk dish the plat du jour. We also made what appeared to be a fairly successful clafoutis. For the pork we let Anthony and Elizabeth go wild in the kitchen together. Undoubtedly she’ll have her own clafoutis recipe too but there was no need to further exacerbate the already noticeable tension between the two. I’m skipping ahead here — to the eating part — but it was then that I realised that nowhere in either recipe does it request this ingredient — unless you count my skim reading of ‘clove of garlic’ in Elizabeth’s recipe. Back to the prep. Pitting out 675g of cherries and macerating them in Kirsch for an hour, meanwhile removing the skin from the pork — a nasty and difficult task — then binding it up. The reason I didn’t initially question the clove was the absurdity/subtlety of the other aromatics Elizabeth demands: “Stick a clove of garlic inside the rolled meat, together with 3 or 4 coriander seeds and a little marjoram, basil or fennel”. I read this as ‘blindly fumble about your herb rack and fling in a pinch of whatever — the Joneses won’t know the difference’. Empty cherries and liquid into the eggy clafoutis mix. 6 eggs and 112g each sugar and flour, some vanilla essence, maybe some other stuff — go and buy the book already. We didn’t have a freaking scientific-grade weighing device, so there could easily have been 117g in there. Evidently, there are only two ways to prepare a carrot: rough cut and fine dice. Rough cut meant slicing the carrot in half lengthwise and then — chop, chop, chop — cutting it into perfectly identical half moons (which to my eye had nothing rough about them). The nightmare was fine dice, which meant cutting every bit of the carrot into identical one-millimeter-square cubes. Brown the meat, remove, sauté veges, add 2 cups of milk and scrape the caramelised fond/glaze into the sauce. Put the meat back in and simmer. We had to frequently turn the pork and scrape the pan. Perhaps a narrower pot would allow deeper milk and more restful cooking? We baked the clafoutis in both a muffin tray and cast iron pan. Neither stuck too badly and the little ones were super tasty. The larger one looked great and got sent off to centre stage the following day at an actual (post) Christmas dinner — possibly the most formal reception my cooking has ever received! We had to hold Elizabeth back and hide the knives from Anthony when it came whether the sauce should be strained. He won, but we served the now creamy strained and stuck-together-with-milk-solids veges as a condiment. The pork was tender and the sauce perfect, especially with the bread-sauceyness flavour from the clove. I highly recommend this addition. All very nicely offset by an apple and fennel salad and mashed potato. As with most of these culinary adventures, l’m coming to these flavours and ideas for the first time in the act of putting them together. Here I made the assumption that the title listed two ingredients and therefore these would be the defining characteristics. The title could well be renamed to include the words purée and potato. It seems odd to ‘sweat’ cubes of potato the way you might say an onion or pepper. It takes on a pallor and exudes a starchy goopiness into the onion and fennel. Tinned tomatoes and stock are added then later the whole lot is puréed until smooth resulting in a thick red soup. Anthony suggests adding a drop of Pernod at the end. When revisiting this recipe I would heed that call as the aniseed flavour really mellows with cooking. Perhaps fennel leaves would do just as well? This soup seemed just as good the next day, so would suit preparation in advance, and it seemed to me while I ate it that a course of juicy steak would follow it well. Perhaps Faux-Filet au Beurre Rouge? I’m a bit behind. There’s a fennel and tomato soup to be posted, but next on the cards is clafoutis. 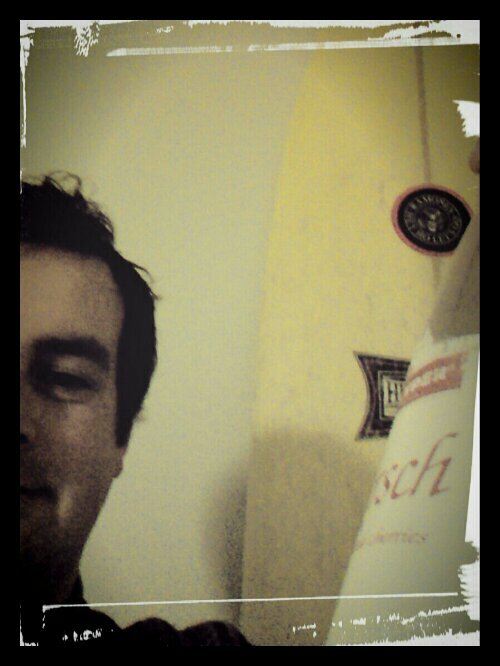 I got my hands on some Kirsch, cracked it open and had a sip. Yikes.. It smells like tequilla, and tastes like, well.. I guess it vaguely tastes like cherries, but mostly like a strong white spirit. I had most of the ingredients lined up for this dish for some time, but had yet to find a source of Swiss chard. This was until one day when someone threw into conversation that silverbeet is known as chard in other parts of the world – eureka! Luckily I didn’t have to look too far for sorrel as my flatmate was growing it in the back garden. Eating it raw it has a quite unexpected citrussy flavour. Not wanting to veer too far from the recipe, I did as I was told, before blazing through the rest of the cooking. The previous classic snail preparation from a few recipes back – my favourite of the two – perfectly presented the mushroomy, almost-oystery escargot flavour on a pedestal of garlic, butter and parsley. In this instance the taste melds in with walnut, walnut oil, leafy spinach, Swiss chard, zingy sorrel, breadcrumbs and bacon. It is satisfying, has a great texture that holds together, and sits up on its own, but could equally be described as mushy and grey. From here I can see where Heston Blumenthal may have pulled his influence for snail porridge. It would do well on crackers or sliced baguette as an hors d’oeuvre. One of the hardest parts of these particularly meaty recipes is negotiating my way around a butchers shop. It always feels like a bit of a standoff and these days I’m always looking for the slightly obscure stuff – this time pork tenderloins. The first place I went looking was an enormous deli with no one around to ask. They had ‘pork fillet’ and ‘eye fillet’. In retrospect I think eye fillet was what I was after. Next I went to a well respected Auckland butcher and started out by asking if they had veal tongue. They didn’t but helpfully pointed out ox tongue. I was surprised how enormous it was! Wouldn’t fit on a dinner plate. I declined then asked if they had pork tenderloin. The guy obliged, then sold me two port fillets. I didn’t have the heart to point out that this might not be what I was after, or to start arguing, so figured I would run with it.. Another time I’ll recount a tale where I dared question the origin of Chicken a la King with a Navy cook built like a brick shithouse whilst overnighting in an isolated mountain hut.. But I digress.. the fillets would do, and besides it was getting late, and they were a fraction of the price of the fancy prepackaged deli ones. The pork sandwiches together with garlic confit and bacon in the centre and is refrigerated overnight. This means that preparation on the day is relatively straightforward, although timing with the sauce towards the end is fairly crucial. I was engaged doing last minute preparation for another dish and almost let the sauce – strong veal stock bolstered with demiglace, butter & garlic confit – get away, but rescued it just in time. Apparently this is one of the more popular dishes at Le Halles Restaurant. I can see the attraction, and it is super tasty, but I guarantee if I ever make it there I’ll be getting the most convoluted, difficult to prepare dish available, and not this – which is a cinch! Ive always been a bit skeptical of leeks. They don’t seem to play well with other ingredients. They tend to find themselves alone in a watery pool at the edge of the plate until finally; they squeak on the teeth. I failed to see why anyone would like soupe au vin – perhaps it would be better without leeks? In pot-au-feu they worked well enough I guess. Only recently have I really warmed to them. This came about when I decided to attempt Marco Pierre White’s Leek and Lobster terrine. I wasn’t sure if mine was going to work, so I saved a few pennies by substituting the lobster for feta. Good thing, because it turns out baby leeks cost a leg for an armful as well. Anyway it was a massive success and I am now a leek convert. When it came to Leeks vinaigrette it was simply a case of what was in season. A case of availability of the fresh ingredients but having no idea what I was supposed to be expecting. Sortof like when someone hands you a book and tells you to read without first knowing anything about the story. The leek was straight forward, but as the sauce Gribiche started to come together I began to assume I must have gone wrong somewhere along the way. It is lumpy, bitty and just sort of wrong-looking. Despite the texture and appearance the taste is very smooth and works perfectly. When analyzed by my test-subjects, they came to the conclusion that it contains the components of a fancy mayonaise but deconstructed, or.. who knows.. boiled egg in a sauce? It works.